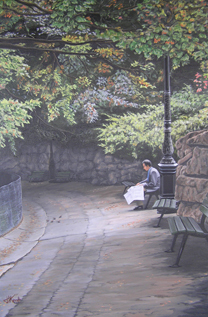 Works sometimes rotate between venues. 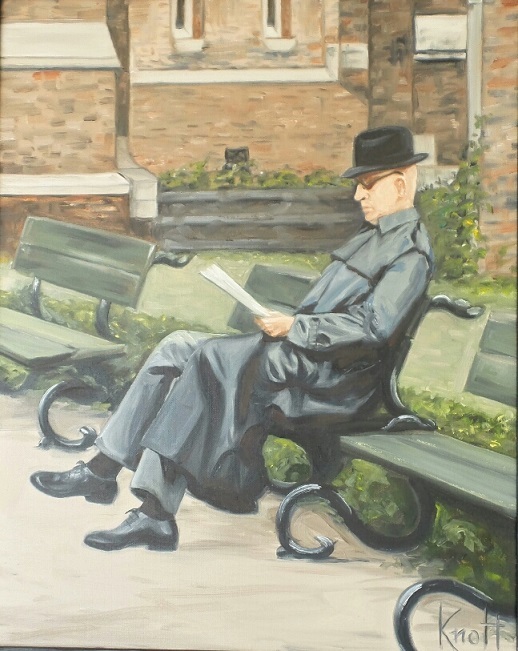 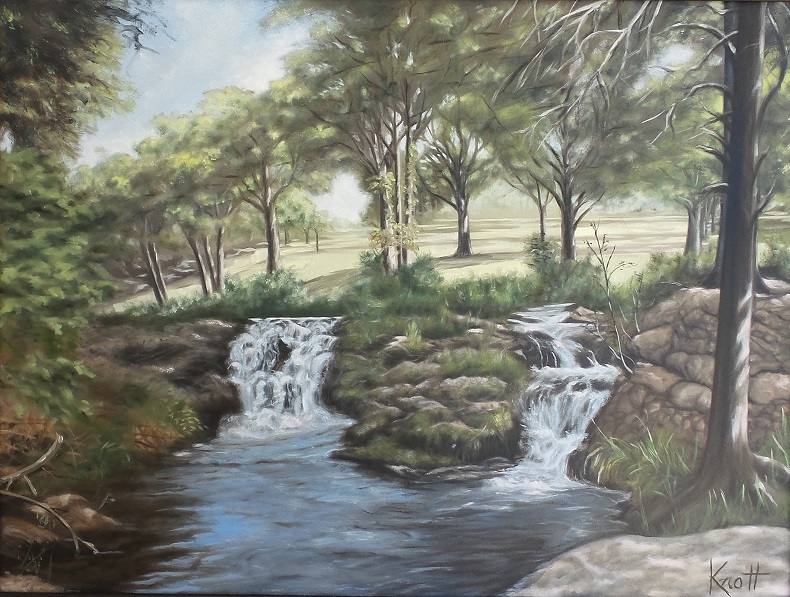 To purchase original art contact the artist directly. 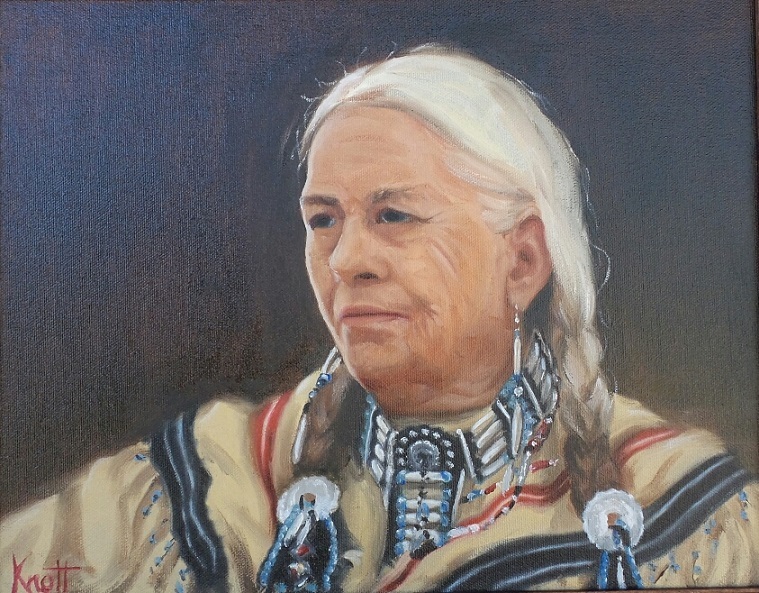 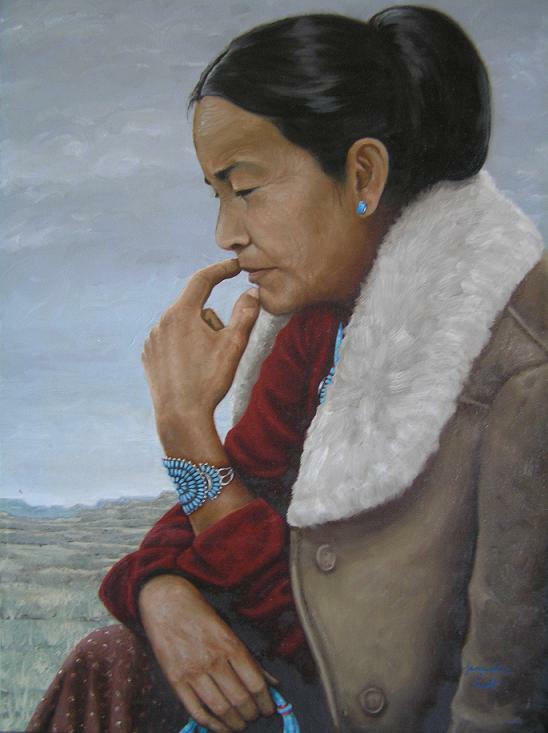 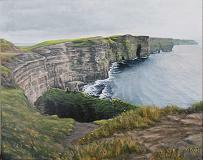 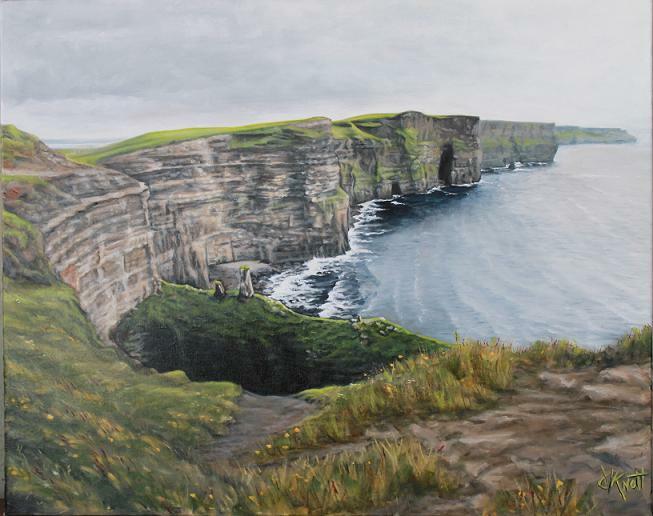 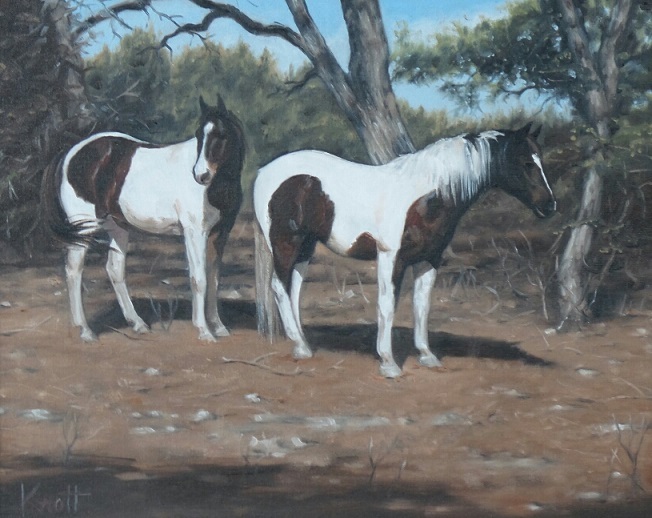 You may be referred to the respective gallery where the work is displayed (see About page). 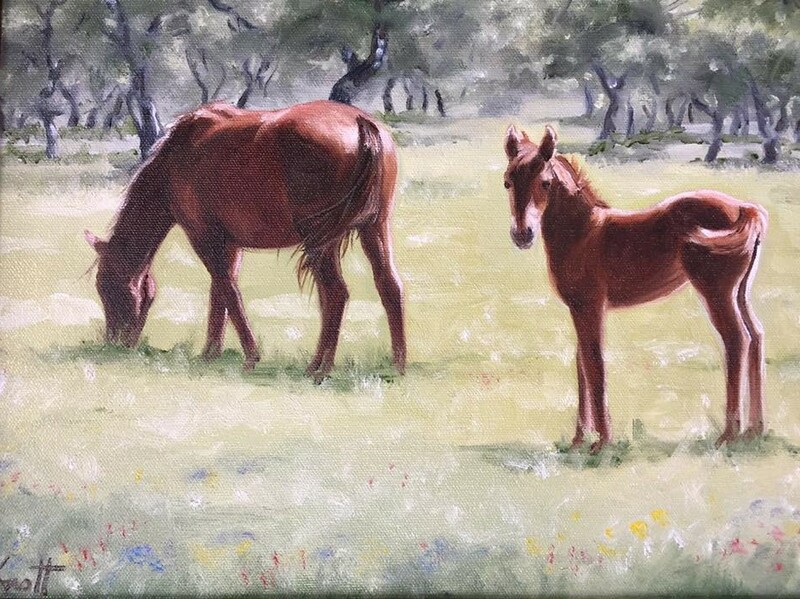 Art work can be purchased with debit or credit card via the Square. 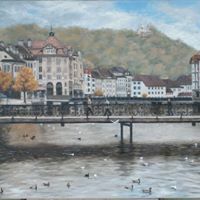 Terms are available. 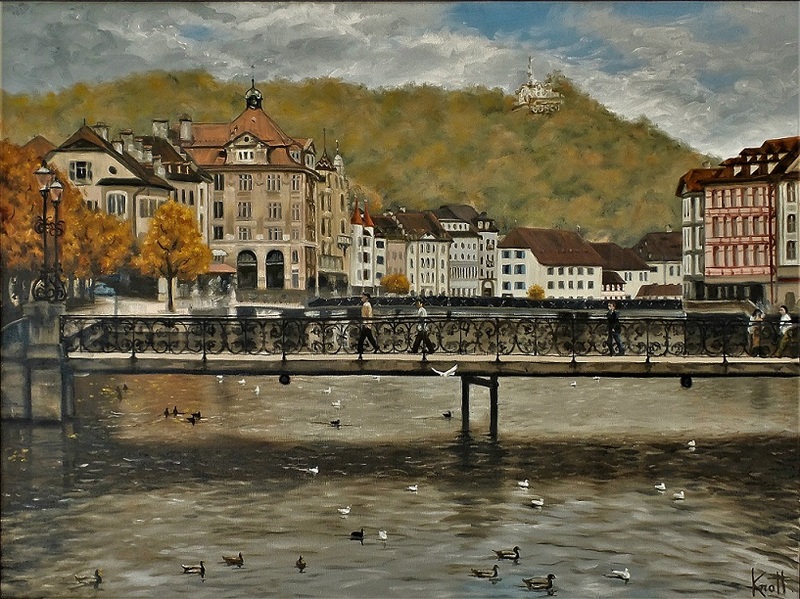 Lucerne, oil on canvas, 24 x 32, $2,200. 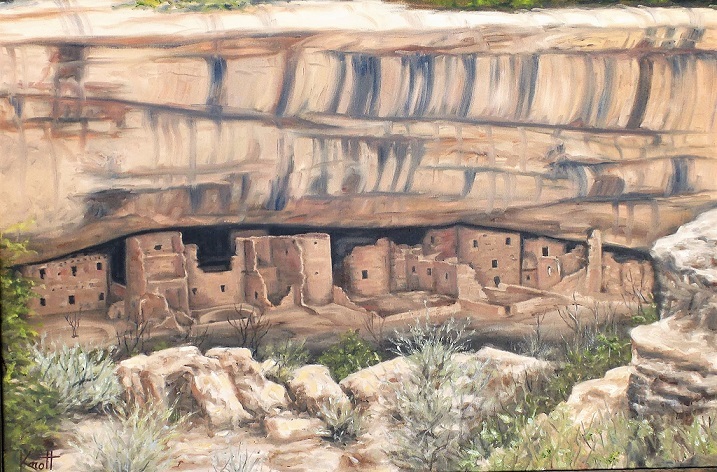 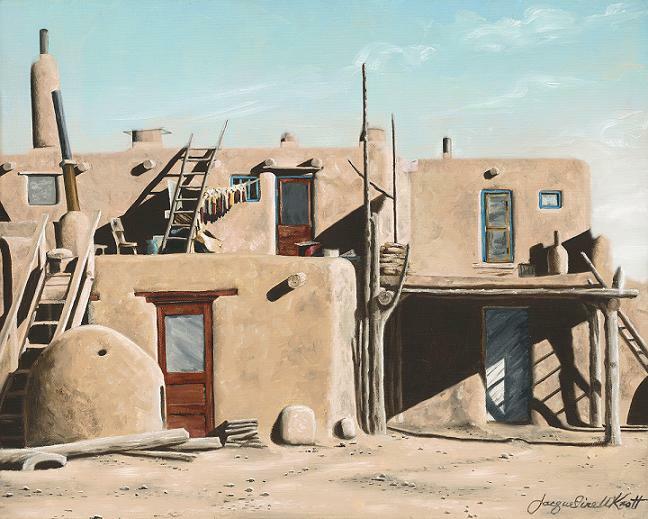 Mesa Verde Shadows, oil on canvas panel 24 x 36, $2,200. 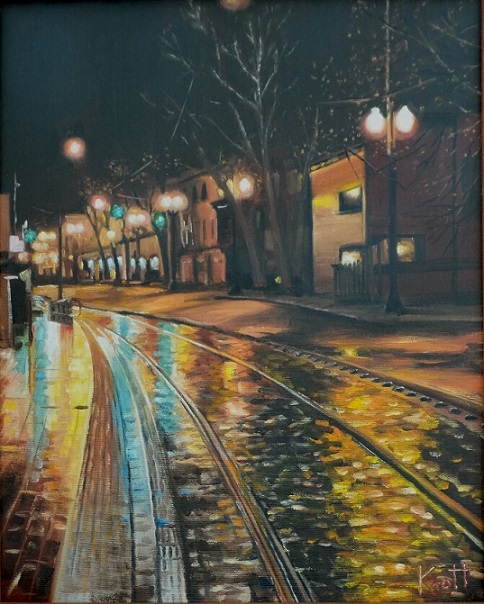 Waiting on the Night Train, oil on canvas panel, 16 x 20, $950. 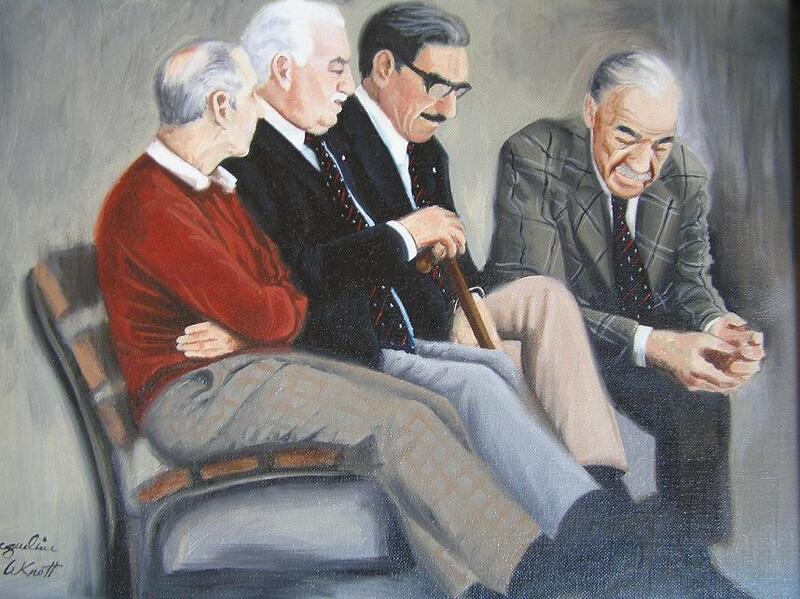 The Times, oil on canvas, 16 x 20, $950. 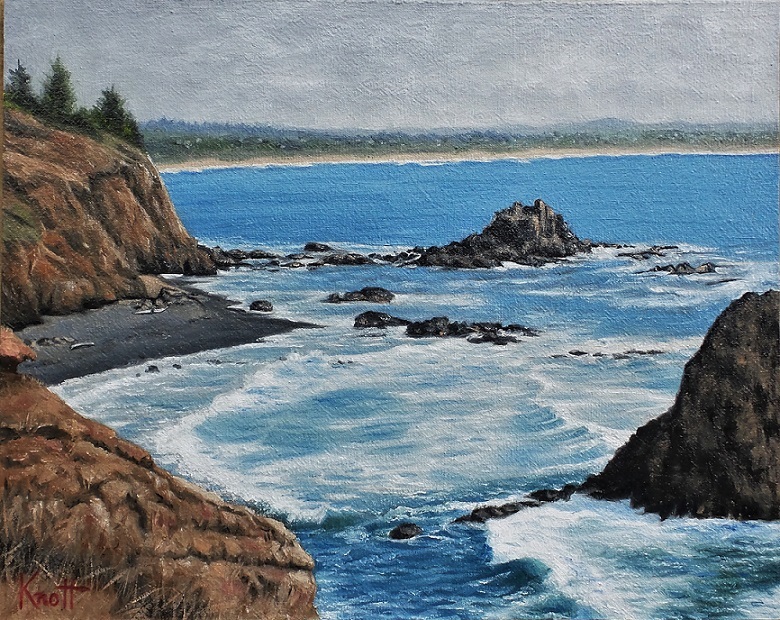 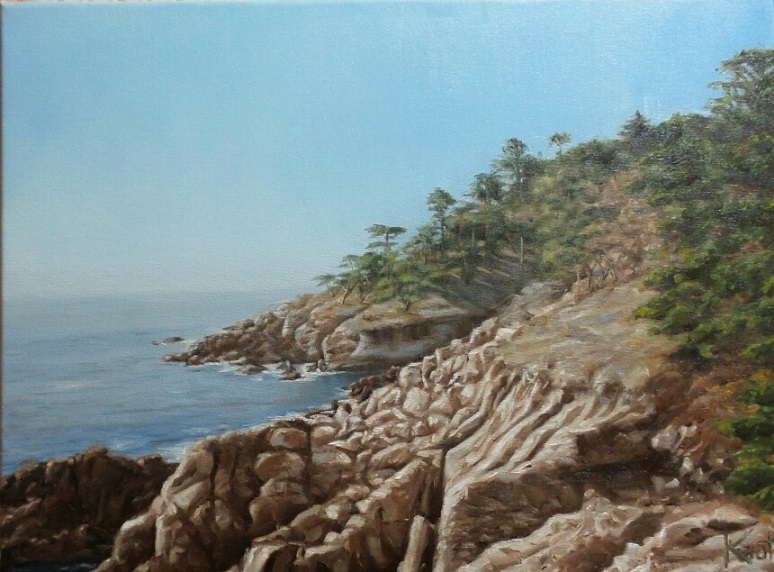 Big Sur, 18 x 24, oil on canvas, $1,800. 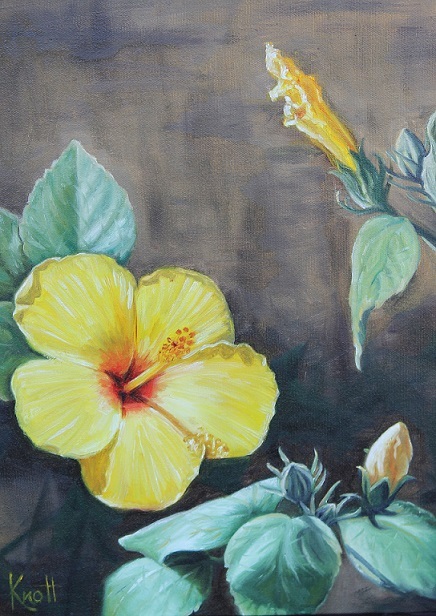 Two Orchids, oil on canvas board, 8 x 21, $750. 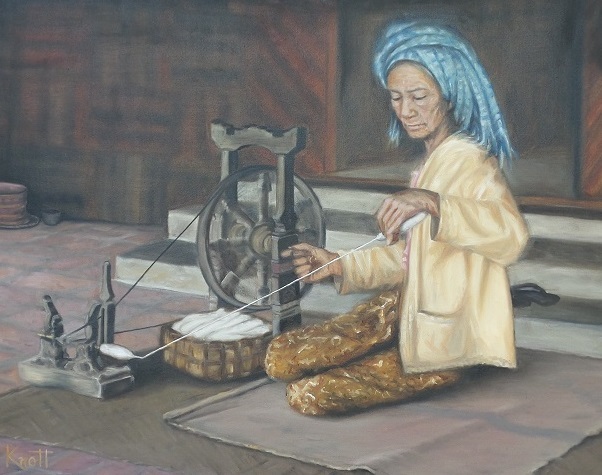 Women's Work, 20 x 24, oil on canvas, $1,200. 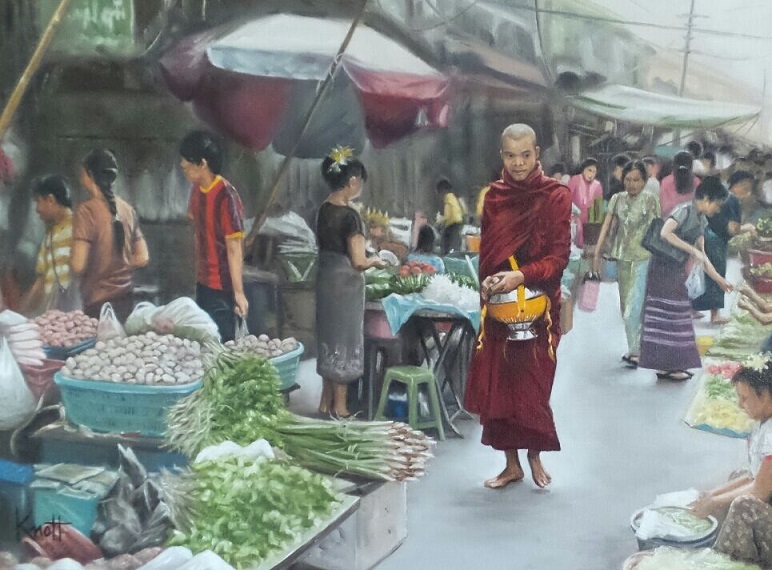 Rangoon Market, 18 x 24, oil on canvas, $2,200. 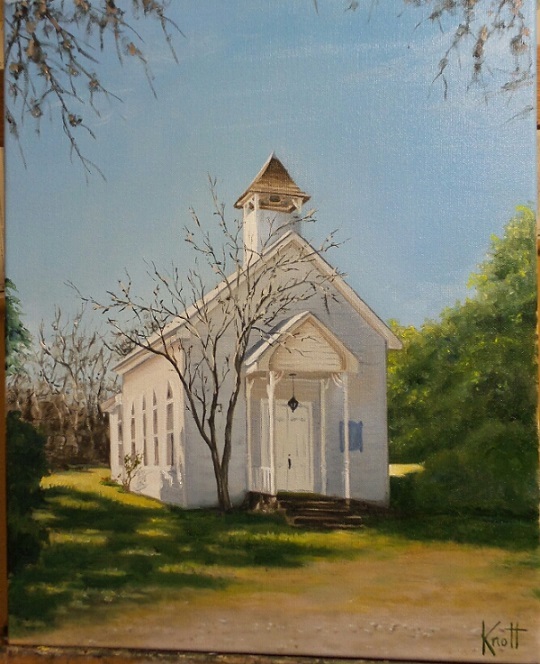 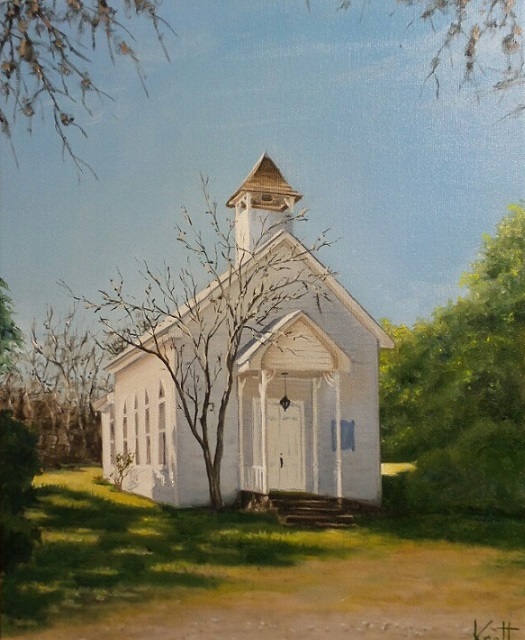 Waring Church, 16 x 20, oil on canvas, $750. 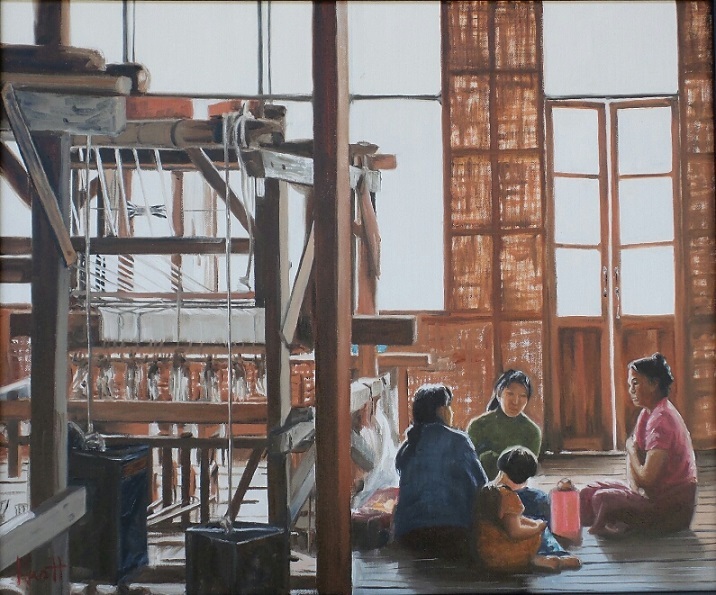 Burmese Spinner, oil on canvas, 22 x 28, $1,800. 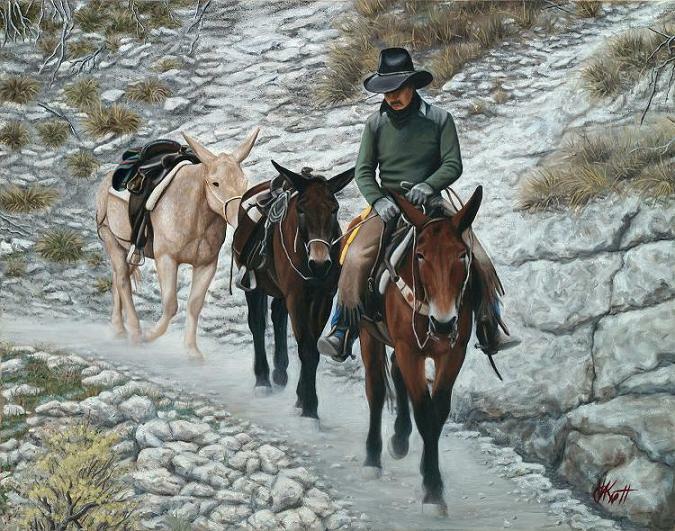 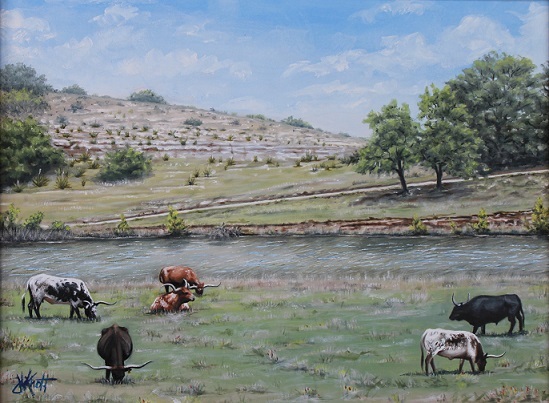 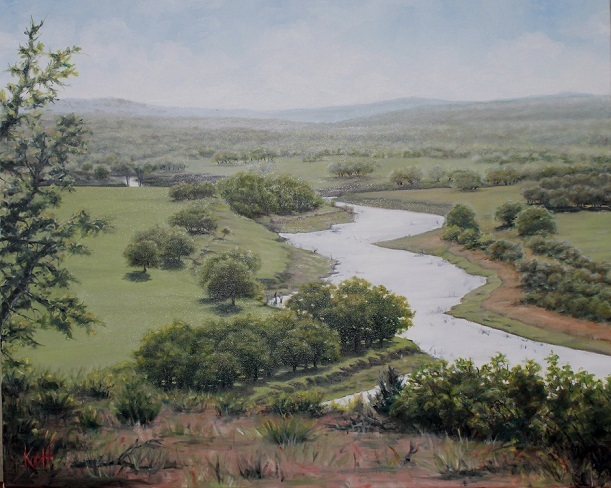 Longhorns on Yeager Creek, Oil on Canvas, 18" x 24", $1,100. 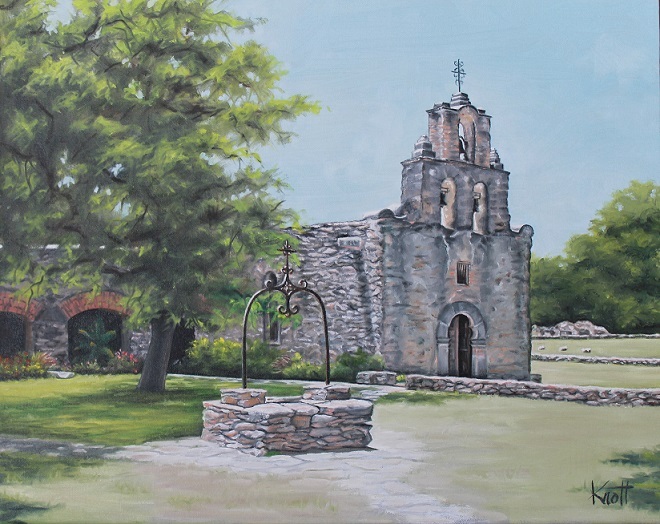 Mission Espada, Oil on canvas, 16" x 20", $1,200. 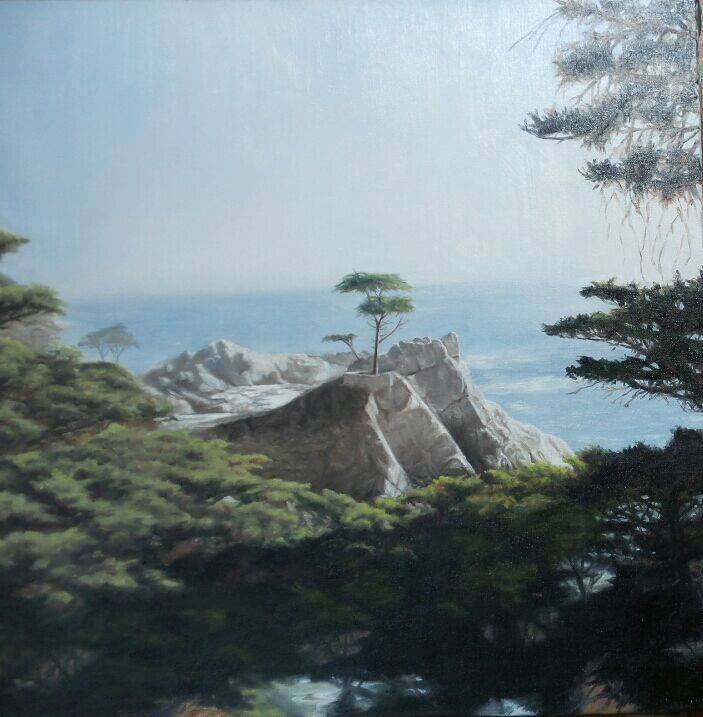 Two Paints, oil on panel, 16 x 20, $1,100. 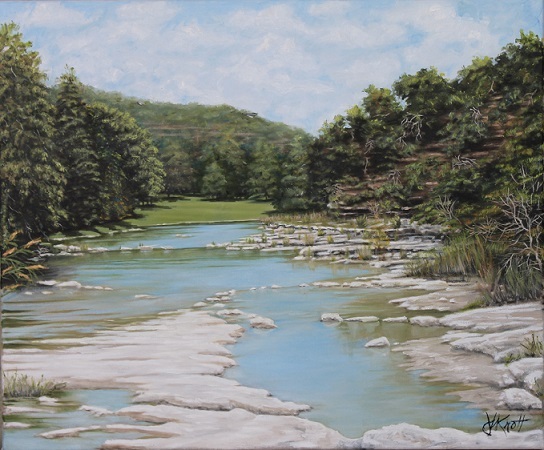 The Guadalupe from Mystic Shores, Oil on Canvas, 26" x 32", $3,200. 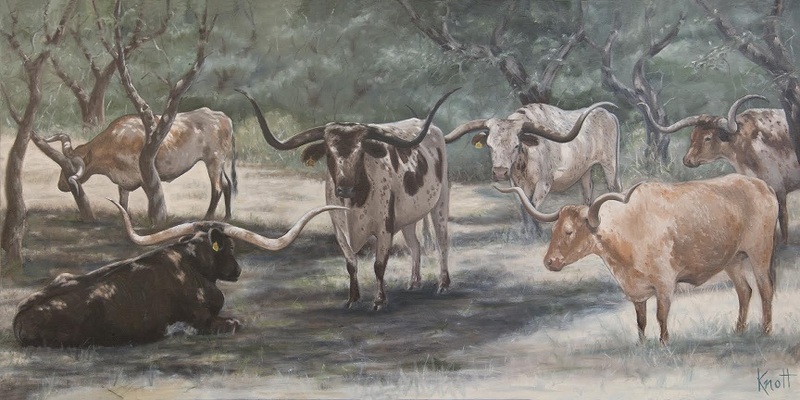 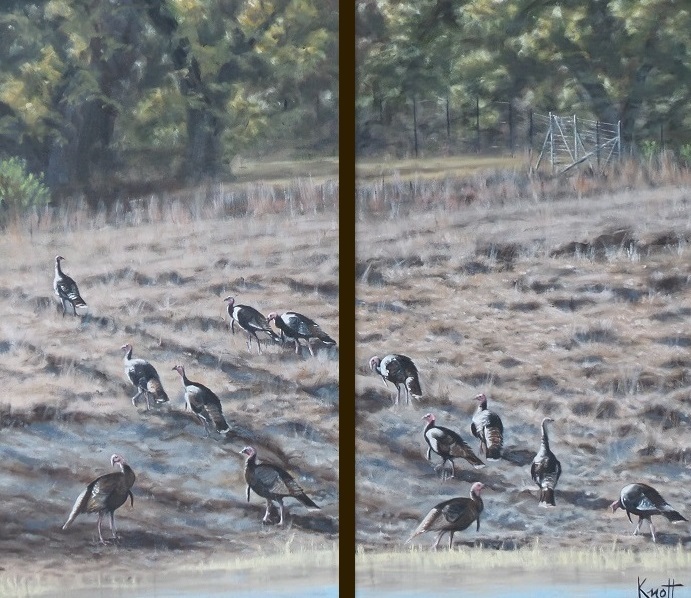 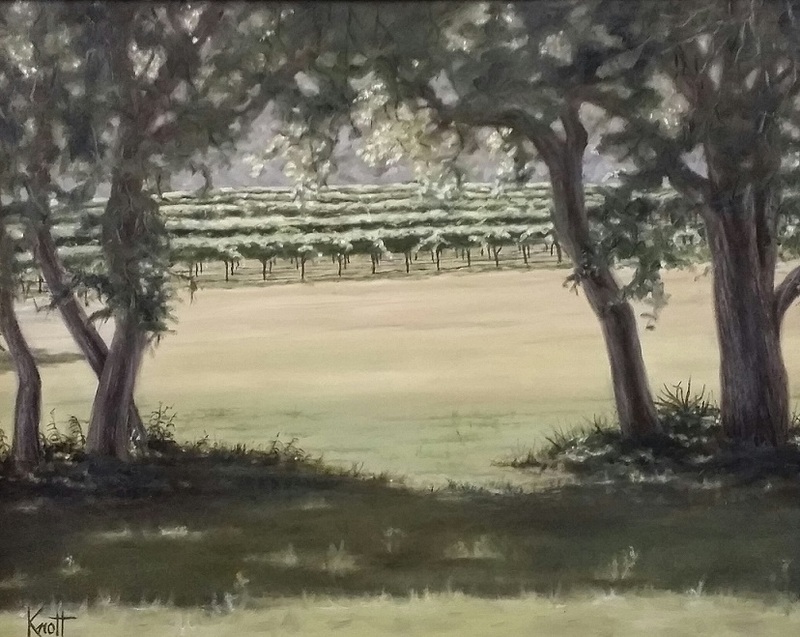 Longhorn Grove, oil on canvas, 24 x 48 gallery wrap, $4,200. 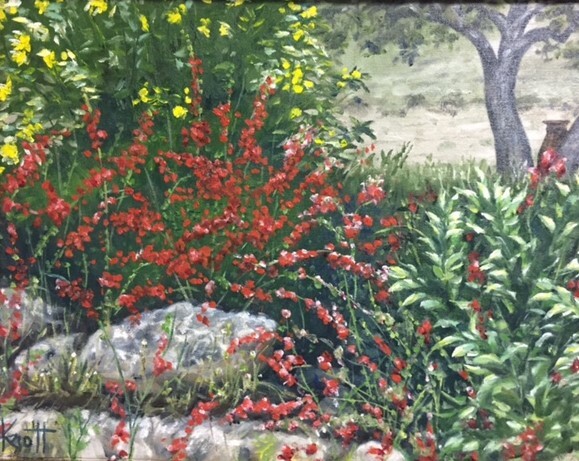 Firecracker, oil on canvas, 22 x 28, $850. 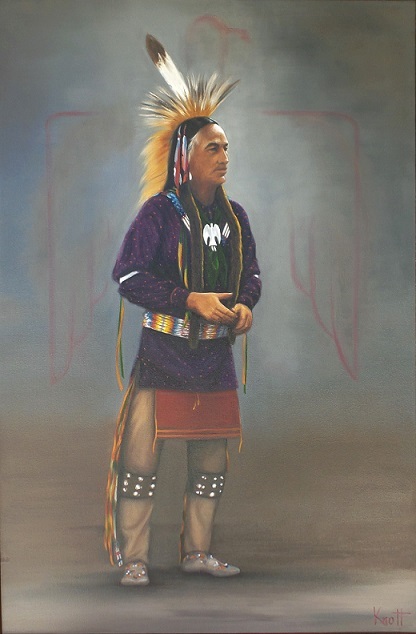 Thunderbird, oil on canvas 24 x 36, $1,500. 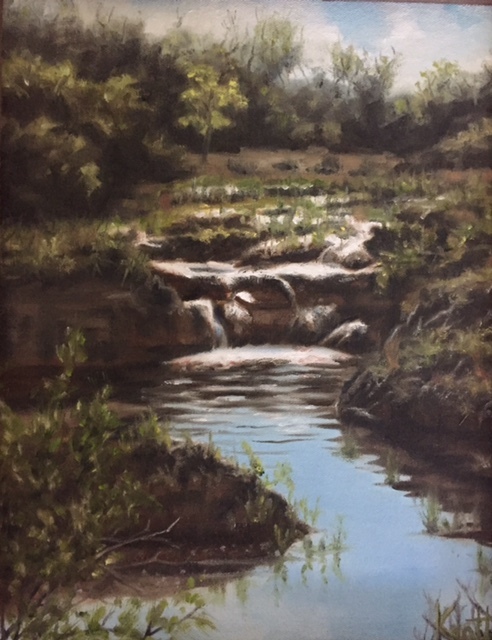 Headwaters of the Guadalupe, oil on canvas, 18 x 24, $950.